A very large brush fire is burning on Body Beach in Lake Havasu, Arizona that started on Sunday, March 31, 2019. 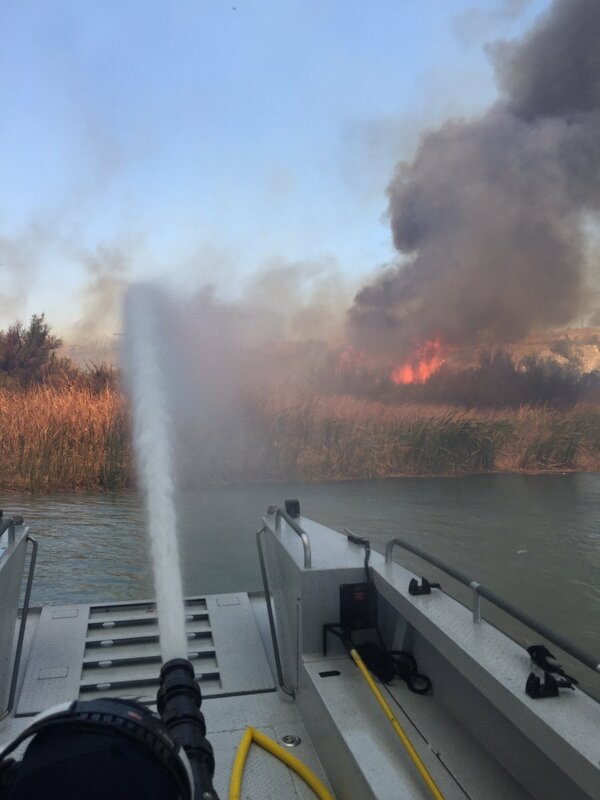 It been reportedly that it has already scorched 60 acres of land and the Lake Havasu Mayor expects it to burn closer to 100 acres by the time the fire is fully contained. 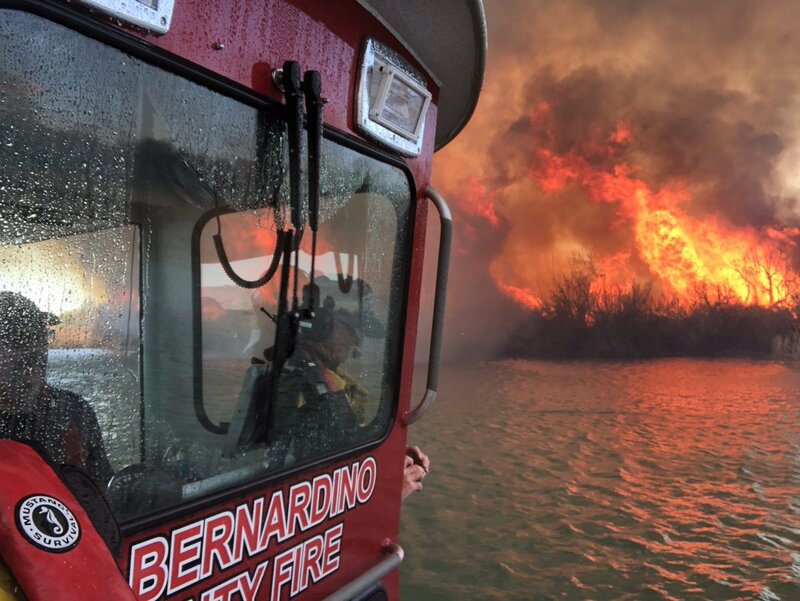 Lake Havasu Fire Department (AZ) and San Bernardino County (CA) along with SBcoFD Fire Boat 32. Highway 95 is closed between Mulberry Ave and S Acoma Boulevard. Currently, the preliminary cause of the fire is unknown.